By dev request, and because this game/demo is awesome, I've continued my gameplay! The audio in general is some quality work, setting the tones of the areas, especially when the boss music kicks in. And holy carp that jam during Angel's fight. The overall atmosphere for the alien tube room had a nice creepiness to it, accentuated by the goopy bubble noises. I hate organic sounds, but that was a nice touch. And, of course, all of the gameplay was excellent. I like that the enemies are never just one-and-done, so you actually have to fight them or try to dodge around. Angel was a heck of a fight that kept me on my toes the entire time, never predictable, and the other two big fights were nicely done as well. No time for rest against these guys. Of course, being a demo and early work, it's not without flaws. I notice two in my video, one involving the giant doors you unlock still sort of being there, but invisible, and the other is the energy bar depleting in an odd way sometimes. I also have a slight issue with the Jetpack stopping air combat randomly and at inconvenient times. Have played the game on my own time a little and really got screwed over against Angel when I'd try a combo or dodge and then just...stop. Can't wait to see this as a completed work though. Smooth out the combat so combos don't feel as jerky and this'll be a really fun hack'n'slasher. This game was wonderful. It made me feel like I was playing Metroid fusion again. The difficulty did jump from time to time (Specifically with those big brownish-orange aliens) but it never felt to unfair. My favorite part was fighting Angel. His(?) fight was so fine tuned to the players abilities. Keep up the great work! 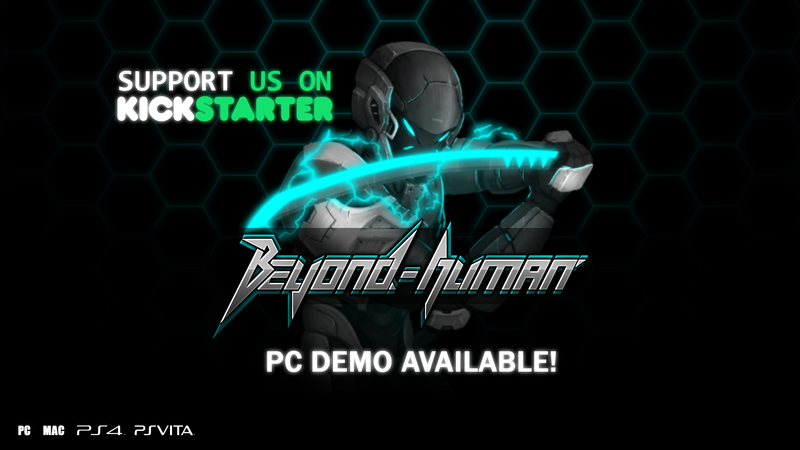 Beyond Human, inspired by Metroid, successfully carries the same style of gameplay while remaining its own game. The story I've seen so far is unclear aside from "aliens happened, go unalive them," but that in no way stops this from being a great time. Fantastic job on this and keep up the good work. Will probably do a second part to this video soon. takes me back a bit when i first played metroid and, mega man. Sheesh i'm getting old haahah. That was an excellent demo to play and I hope I did a good job with it and helps with your development. 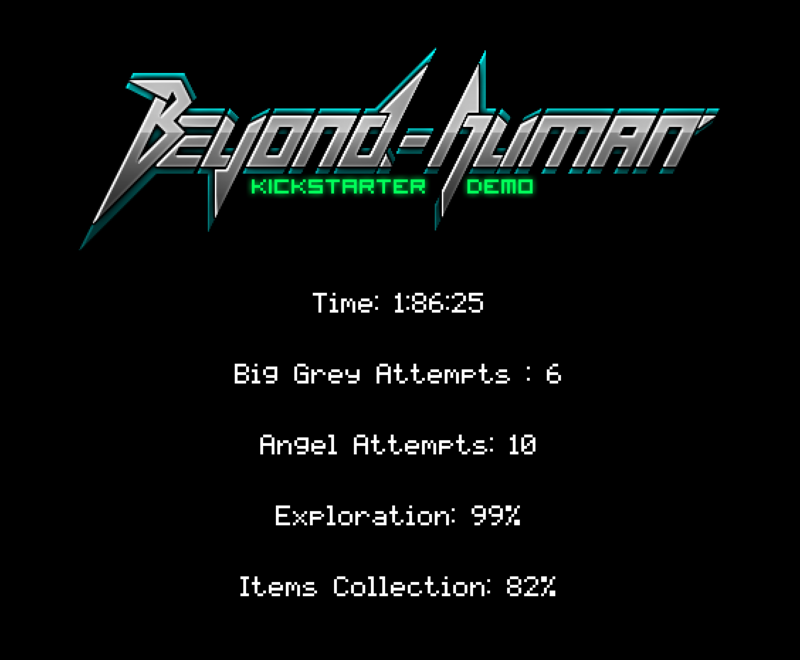 I look forward to playing the whole thing when it is released, I think I missed a few things but I will do better in the full game, I think I missed a few things but I should do better in the full game. 5/5.